The United Nations Economic Commission for Africa is the main legislative organ of ECA and reports to the Economic and Social Council (ECOSOC). It provides a forum for all governments of the region to review and discuss economic and social issues and to strengthen regional cooperation. 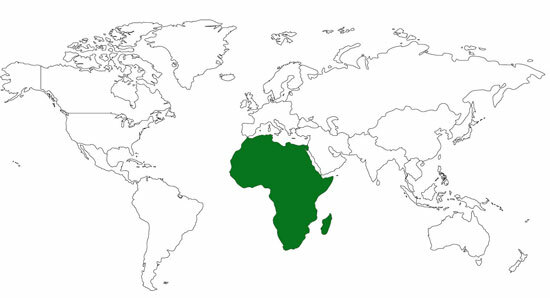 Algeria, Angola, Benin, Botswana, Burkina Faso, Burundi, Cape Verde, Cameroon, Central African Republic, Chad, Comoros, Congo, Côte d’Ivoire, Djibouti, Egypt, Eritrea, Ethiopia, Equatorial Guinea, Gabon, Gambia, Ghana, Guinea, Guinea-Bissau, Kenya, Lesotho, Liberia, Libya, Madagascar, Malawi Mali, Mauritania, Mauritius, Mozambique, Morocco, Namibia, Niger, Nigeria, Rwanda, Sao Tome & Principe, Senegal, Seychelles, Sierra Leone, Somalia, South Africa, South Sudan, Sudan, Swaziland, Tanzania, The D.R Congo, Togo, Tunisia, Uganda, Zambia and Zimbabwe.